Piano Lessons Littleover. Hello. My name is Eddie Rudak, I am an experienced ABRSM qualified Piano teacher. I have been teaching Piano lessons in Littleover for more than 30 years. I have several happy, satisfied clients throughout the Derby area, including Littleover. 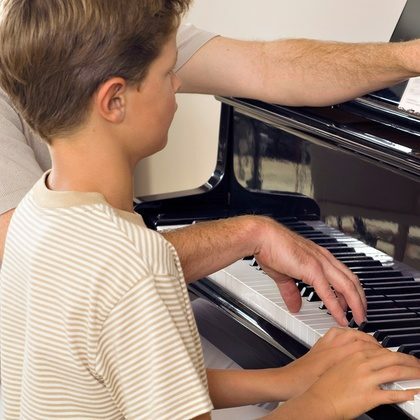 Taking Piano lessons is a rewarding experience; there are no barriers in learning to play a Piano. Having sufficient desire to learn is your greatest attribute the foundation for your musical journey! Piano lessons Littleover – Trial Piano lessons for children. I teach children to play Piano with a personalised course of easy to follow Piano lessons. My piano lessons are designed specifically with children in mind. Your child will be encouraged to enjoy learning Piano through exploration and creativity with music. Learning to play Piano is fun! Are you looking for Keyboard Lessons? Please click here for more information. Weekly Piano Lessons at your home in Littleover Derby. ©2012 Piano Lessons Derby – Providing private Piano lessons in Littleover Derby since 1979.